To a quilter’s eye, rice fields are layers of color. 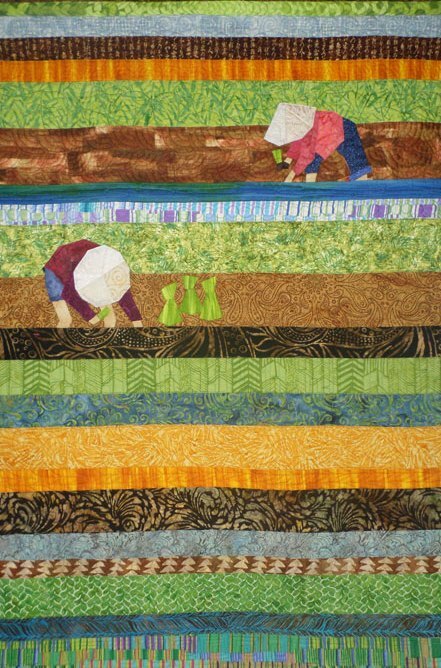 This quilt is in a series of 4, each quilt covering a different stage of a rice field. It is called a sampler because each layer in the rice field has been stitched with a different pattern.